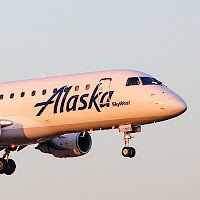 The US regional contract airline, SkyWest has reported its latest results this week, in July 2018 the carrier reported 153,300 block hours compared to 162,400 block hours in July 2017, a decrease of 9,100 or 5.6%. The company says this net decrease was consistent with the company's change of fleet plans to improve the mix of aircraft in its fleet by adding new E175 aircraft while reducing its 50-seat jets. In July 2018, SkyWest's E175 aircraft represented approximately 26% of SkyWest's total block hour production for the month compared to approximately 21% for the month of July 2017.